5 June 2018 by MilitaryByOwner Advertising Inc. When you settle in at Joint Base San Antonio (JBSA) Randolph, Texas, you’ll quickly get a feel for why this installation goes by the name “The Showplace of the Air Force.” The base is brimming with old world charm and Spanish Colonial Revival architecture. The distinctive “Taj Majal” administration building has been a notable landmark since 1931. Not far from Randolph, you’ll find a myriad of family-friendly housing communities. In popular locations like Schertz and Cibolo, life in the San Antonio suburbs is as sweet as the tea the friendly neighbors are sipping. If you’re on the hunt for a weekend adventure from your home base at Randolph, consider these three getaway spots. From the Silos Baking Company to Magnolia Seed + Supply, you’ll fall in love with the delightful staging of goods and the artful touches of design that encompass this alluring acreage. One of the Gaines’ entrepreneurial goals was making the “Silo District” a gathering place for friends and family. If you’ll be meeting up with others for an overnighter, consider the luxurious accommodations of the Magnolia vacation rentals. Immerse yourself in the Gaines’ interior decor with a stay at the Hillcrest Estate which sleeps 12 or the Magnolia House which sleeps 8. Additionally, Waco offers a handful of premier hotels including Hotel Indigo within walking distance of the silos. Try to set out early for your Chip and JoJo themed escapade, as there might be a wait for seating at the Magnolia Table restaurant down the way. Also, if you are an early bird shopper, you’ll wait in less of a line for bakery treats and marketplace finds. Keep in mind the silo area closes by 6:00 pm and the venue is not open on Sunday. In every nook and cranny of this popular attraction, you can sense the picture perfect palette that Joanna adds to each episode. Feel free to pose for plenty of photos and garner inspiration to bring impeccable design into your own home. Take a walk on the wild side at the Cameron Park Zoo and Botanical Garden. Stroll along the Brazos Riverwalk and linger on the grounds of Baylor University. Hum the catchy “I’m a Pepper” jingle while browsing the Dr Pepper Museum. Learn of law and order heroes at the Texas Ranger Hall of Fame . 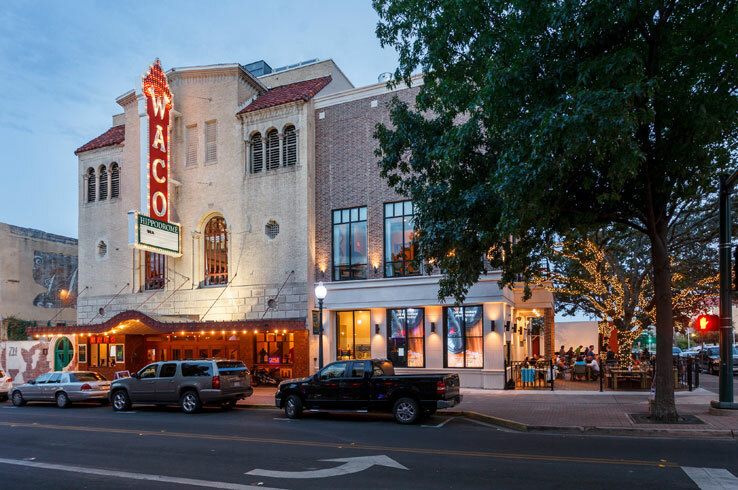 Explore more with the Waco Convention and Visitors Bureau website. Much like an old school country music song, the siren call of the water can lure you towards a Texas beach. If you’re craving rest and relaxation, spend a little time under the Galveston sun. About 240 miles East of JBSA Randolph, you’ll pass the bustling city of Houston enroute to the sand and surf of Galveston Island. Perfect for a weekend get-away, you’ll relish the relaxing pace of island time.. Walking along Galveston’s Seawall stretch of beach, happy gulls dance on the breeze while tawny waves lap at your feet. 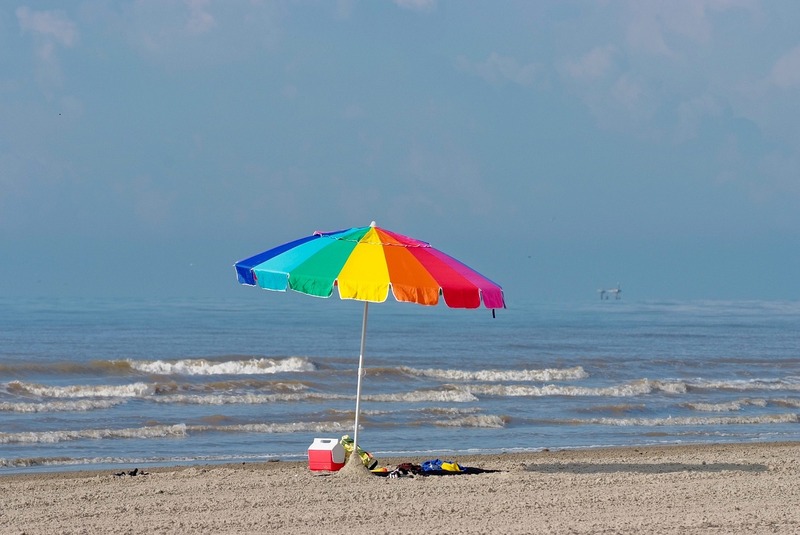 When looking for an optimum place to set up your sun umbrella and beach chair, you could head West past Galveston Island State Park to Jamaica Beach or claim a spot at Stewart Beach towards the Eastern corner of the island. If hunting for seashells tickles your fancy, take a ferry ride over to the Bolivar Peninsula and stroll along the shore of Crystal Beach. No matter which beach you choose, spending time in the sun and sand and surf will sail all of your cares away. After touring the King William Historic District of San Antonio, you’ll notice the similarities of architectural heritage in the downtown Strand District of Galveston. Not far from the city cruise ship terminal, your walking tour of historical homes will lead to a Greek Revival style porch at the Menard House built in 1838. Along with the restoration and preservation of remarkable residences, the Galveston Historical Foundation partners with the Texas Seaport Museum for tours of a 19th century tall ship, Elissa. For a hands-on experience, the “It’s a Sailor’s Life” museum program gives kiddos the chance to learn maritime history and camp overnight on this 141-year-old merchant vessel. Fun for all ages, Galveston Island includes a variety of family-friendly entertainment. From carnival rides at the the historic Pleasure Pier to a splashing good time on the Schlitterbahn water slides to exploring the exhibits of the Moody Gardens acreage, your whole tribe will enjoy each amusement park. When looking to escape the San Antonio summer heat, follow a Gulf breeze towards Galveston Island. Lift-off at Johnson Space Center and Space Center Houston. Take a gander at vintage aircraft at the Lone Star Flight Museum. Spend time in imaginative play at the Children’s Museum of Houston. Snap photos of uniquely painted autos at the Art Car Museum. Savor architectural grandeur with the 1892 Bishop's Palace of Galveston Island. 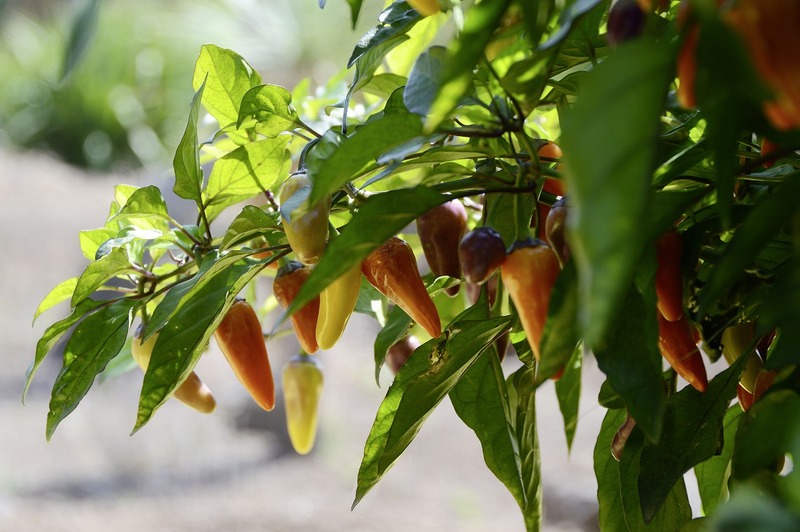 Planning for winter travel ahead?To beat the solstice doldrums, spice things up with the Jalapeño Festival in Laredo, Texas. Only 2.5 hours from JBSA Randolph, this February celebration brings visitors to taste sweet and savory peppers and revel in a citywide fiesta. If you happen to be a foodie, you’ll appreciate the traditional Mexican specialties from local cantinas like El Meson de San Agustin and Palenque Grill. Additionally, the Jalapeño Festival brings a wide array of live musical performances. You’ll dance the night away while the stars shine bright in this South Texas city. Laredo boasts an international branch of Texas A&M University where “Aggie” spirit brings a popular entertainment venue. The glass pyramid of the Lamar Bruni Vergara planetarium on the TAMIU campus includes a 40-foot dome for projection of trending movies, audio-visual productions, and state-of-the-art scientific presentations. Round the bases with a tour of Laredo’s Uni-Trade Stadium where an up and coming team of the Mexican Baseball League, the Tecoltes de los Dos Laredos, are at bat. Or, if your favorite outdoor sport is casting a line on a serene lake, Lake Casa Blanca International State Park will be a home run. Unwind with your hook and bobber and fish for your catch-of-the-day. With temperatures hovering in the mid-70’s, you’ll find the timing is right for your mid-winter road trip to Laredo. Browse the Republic of the Rio Grande Museum for a dose of history. Stroll the cobblestone streets near the historic San Augustin Plaza. Bounce sky high at Altitude Trampoline Park. Learn about precious natural resources at the Laredo Water Museum. Once you feel at home near JBSA Randolph, begin to plan your family get-away trips. Keep these ideas in mind and browse other suggestions with San Antonio reviews on Military Town Advisor. Have you been stationed at JBSA Randolph? Tell us your favorite weekend escape!